It’s hard to imagine the “British Invasion” of talent into American comics – Alan Moore & Dave Gibbons, Kevin O’Neill, John McCrea, Duncan Fegredo, Glasgow’s own Grant Morrison, Mark Millar & Frank Quitely and a host of others – without 2000AD being there to showcase their work. 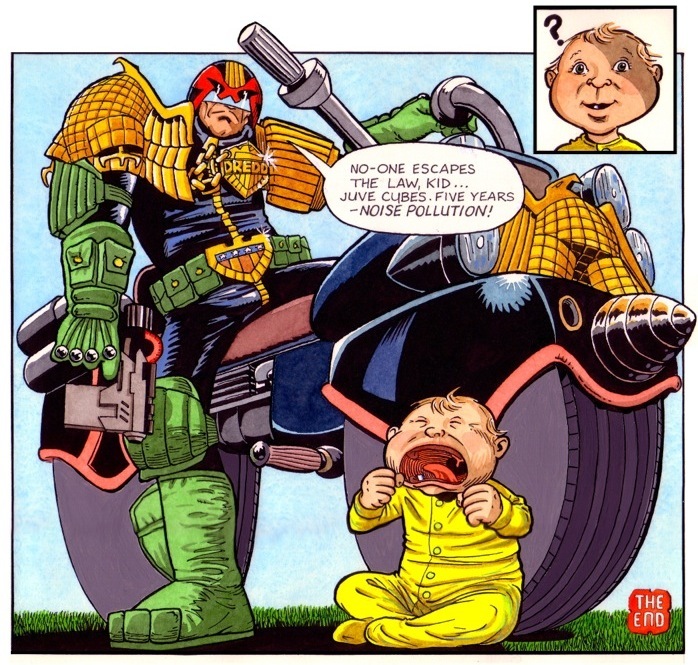 For a brief time we played a tangental role in the history of the comic; former “art droid” Alex Ronald was with us for couple of years and produced pages for 2000AD and the Judge Dredd Megazine in our original premises . Hats off to Pat Mills, John Wagner and the host of “Thargs” who followed. Long may the title continue.